Having used many keyboards in my day, I am a huge fan of the mechanical design, and the Max Keyboard Nighthawk X8 is a refreshingly minimalist design in a sea of ostentatious products on the market. There’s something to be said about elegant simplicity, and the X8 has that on the bullseye. There’s nothing extraneous on this board, no unnecessary macro keys since any key can be assigned as a macro. There are audio and USB ports, which are handy, but they’re tucked just out of eyesight. The X8 exudes a quiet and confident functional design. 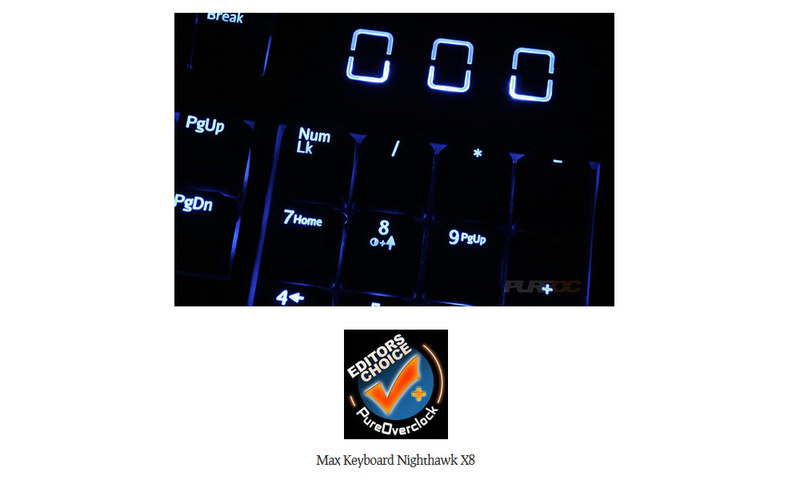 ⟵Max Keyboard 4th of July Sale – 20% Off Everything!